The ubiquitous sandwich chain is under fire after two customers died from contaminated food. 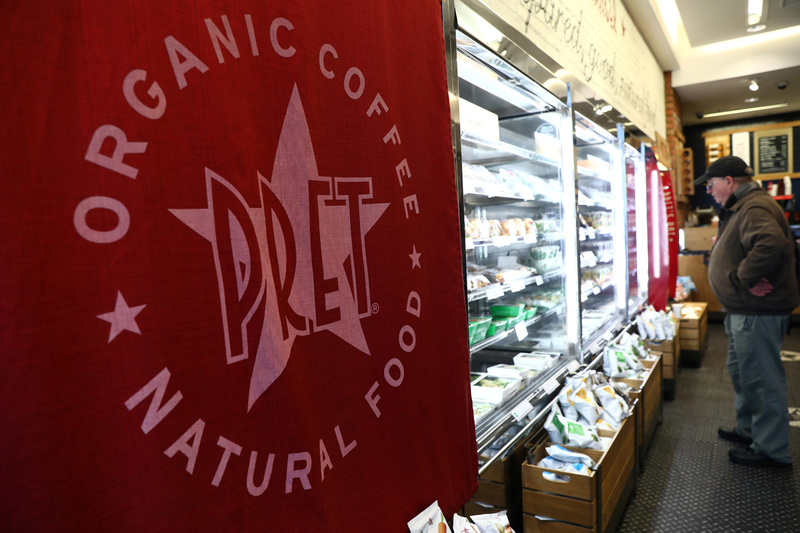 When owner JAB bought Pret in May, upping margins to create lucrative returns looked straightforward. The cost of clearing up its mess now means those returns could be much less, or zero. A man browses a sandwich display at a Pret A Manger cafe in London, Britain April 27, 2017. Pret A Manger promised to improve its labelling following criticism at an inquest in September into the death of Natasha Ednan-Laperouse, a 15-year old who died in 2016 after eating a Pret baguette that contained traces of sesame. The British sandwich chain is also investigating whether a second customer died from an allergic reaction to one of its dairy products, the company confirmed on Oct. 8. The customer is believed to have eaten a yogurt supplied by CoYo, a maker of vegan products in the UK. CoYo said Pret’s linking of the death to its product was unfounded. Pret, which has about 530 shops in the UK, has announced it will display details of allergy information on its packaging of sandwiches as a result of the tragedy. The UK government is also considering a change to the law.